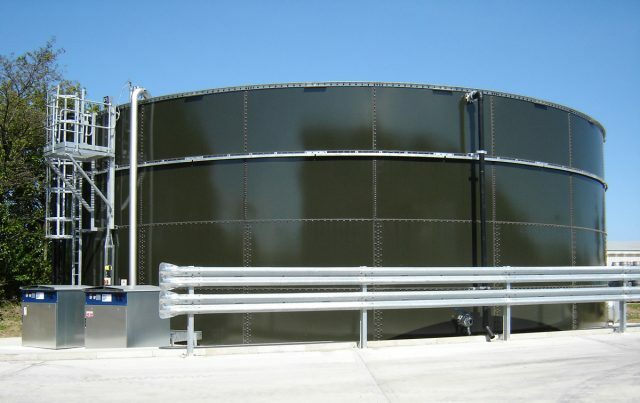 Kellogg’s, Nestle, Mars, Walkers, Biogen, Wessex Water, Yorkshire Water, Marches Biogas, Dunbia, Dovecote Park, are just a few of the national / multi-national partners for whom we have supplied and installed industrial grade tanks and covers, to meet their exacting specifications. With our expertise gained over the last 40+ years, one of our key strengths is our ability to specify the correct tank for each client specific application. The glass finish is not a coating, but a fusion of two materials to become one, thus providing the strength and engineering flexibility of steel with corrosion resistance of glass, both inside and out. 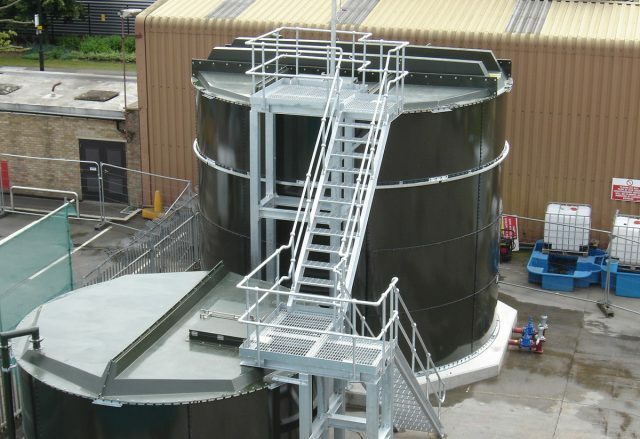 We offer turnkey solutions for all industrial projects, from providing civil works for tank bases and ancillary concrete through to final installation of the tank and cover including insulation and cladding. The diverse experience in tank erection and civil works of our highly skilled installation crews is complemented by a sophisticated jacking system that ensures efficiency, safety and on-time completion of projects within budget.